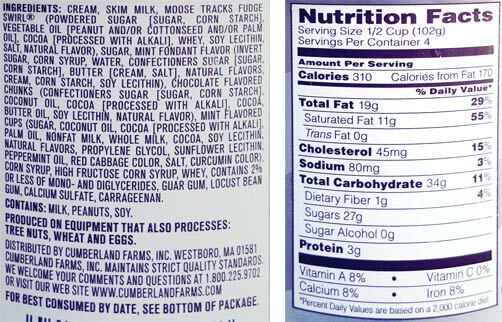 [New for 2017] I didn't plan on trying more Cumberland Farms flavors since I know many of you will never be able to try them, but check out the coloring on this new flavor. How can I resist something that so blatantly mimics the coloring from a York Peppermint Patty? Wow! That swirl makes it look like a pint of Graeters! I was going to eat my chocolate purchase first, but now I need to know what this swirl tastes like. 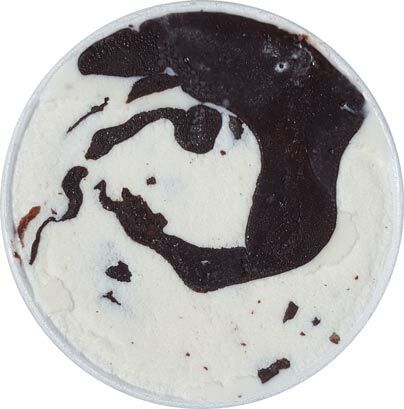 I take a few bites and the chocolate swirl is really good. It's thick and hearty, more like a dense frozen frosting than a syrup swirl. It's really quite tasty. Yet again, the base holds this one back a bit. It's not terrible because the pint is so fresh, but it's low density and definitely has an icy component to it. It's not freezerburn mind you, but literal frozen water. Wow that sounds dumb. To clarify, this pint says that it's good until December 2018 and it wasn't on the freezer shelf 12 days ago. Because the base isn't dense and the chocolate components are quite fun, I am soaring through this first serving. Yet again we are faced with a great flavor/mix-in profile. Ok, I need to stop... must stop... just one more bite with swirl in it. Ok. The pint is officially "half" finished. I should note that there are indeed chocolate chips and peppermint cups scattered throughout the pint, but it's that excellent swirl you will be aiming for. The cups are the same tiny cups you will find in other brands, and the chips are a decent size but not too thick. The cups add more thud but I wasn't noticing a huge minty bump from them. I really am impressed by all but one component here. The ice cream did actually get a bit more normal towards the mild (or maybe my tastebuds were so frozen I stopped caring). I should probably mention that the peppermint factor wasn't crazy strong. 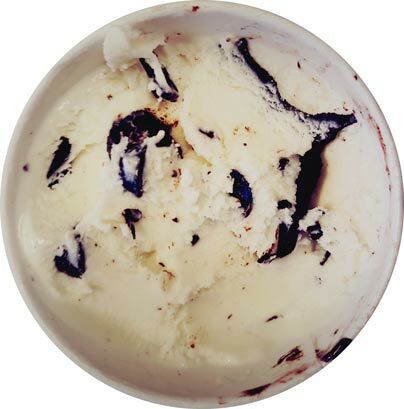 This is very much a pleasantly flavored homage to a York peppermint patty that has a good amount of chocolate flavoring to go with a controlled amount of mint flavoring. It's definitely one of the more fun mint flavors out there. On Second Scoop: I forgot to point this out yesterday (because I was distracted by the swirl), but there is a ton of sweetness to the mint ice cream. I'm trying to think of who it would be comparable too, but if you get a bite with zero swirl, this neat sugary blast comes through. The clarity of that sugary mint blast is pretty impressive, especially for a convenience store brand. I think the lightness and the non-gumminess of the base helps push that sweet mint through to your tastebuds. There's also two little cups on top of my serving so let's try them on their own. The chocolate of the cups is really nice. The funny thing is that you can let them dissolve on your taste buds and you won't get any mint until the very end (for the record, it's a green mint filling in the mini cups). Oh boy, I found more swirl! (it's been hiding). Ok, I'm going to break the second half of the pint in to two servings. I'm enjoying it too much to just blow through it for the sake of blowing through it. Well done Cumbys. 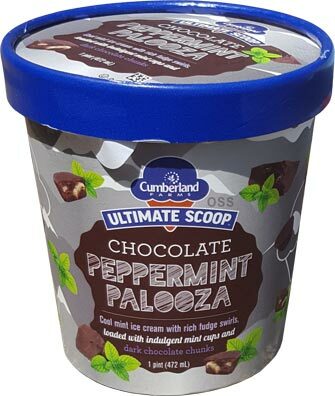 I've never tried Cumberland Farms icecream before (those peppermint cups sound awesome), but that frozen water bit reminds me of Big Y's mint chocolate chip. I've never gotten one that was completely freezer burned all the way through, but sometimes I'll pick up a pint is slightly freezer burned on the top, and I get a bit of "just-melted ice cube water" vibe from it when I'm eating it. Is that what you were talking about? yeah, i think we are talking about the same thing, or at the least something similar. if you are in the Big Y area, you should have a cumbys nearby too! Oh, sweet! Yeah, just checked and it looks like I have one about 2 miles away. Maybe I can ask my driver to take me there sometime!